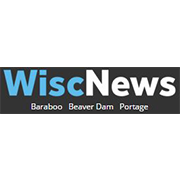 Police were advised that a depressed, armed woman was refusing to leave a residence on the 1100 block of Jefferson Street around 8:30 p.m. Tuesday, according to the Baraboo Police Department. The Sauk County Critical Incident Negotiations and Emergency Response Teams were called in and isolated the area. Through the Nixle alert system, authorities advised people to stay away from that location.